Good Agricultural Practices (GAP) and Good Handling Practices (GHP) audits are voluntary independent audits of produce suppliers throughout the production and supply chain. GAP/GHP audits focus on best agricultural practices to verify that fruits and vegetables are produced, packed, handled, and stored in the safest manner possible to minimize risks of microbial food safety hazards. The audits verify adherence to the recommendations made in the U.S. Food and Drug Administration’s Guide to Minimize Microbial Food Safety Hazards for Fresh Fruits and Vegetables and industry recognized food safety practices. 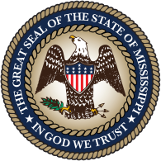 The Mississippi Department of Agriculture and Commerce is now offering a cost-share program for Mississippi farmers to provide financial assistance to cover the cost of certification. Funds for this program are provided through the USDA Specialty Crop Block Grant Program. This program will reimburse farmers that have successfully passed a GAP/GHP certification for 75% of the cost up to a maximum of $500 per year. Reimbursement is for the initial audit only. Audits must be completed by an approved USDA certifier. Funds are available on a first-come, first-serve basis until the funds are depleted. Applicants must complete the attached application, W9, attach a copy of the audit bill, score sheet and documentation of the payment made (In the form of a cancelled check). You must be a Mississippi producer and farm must be located within the State of Mississippi. No wholesale distribution centers may apply. Only audits for specialty crops are eligible for reimbursement. Specialty crops are defined as fruit, vegetable, tree nuts, and horticulture and floriculture items. If you have questions regarding the cost-share program, please contact Michael Lasseter 601.359.1120 or michaell@mdac.ms.gov.